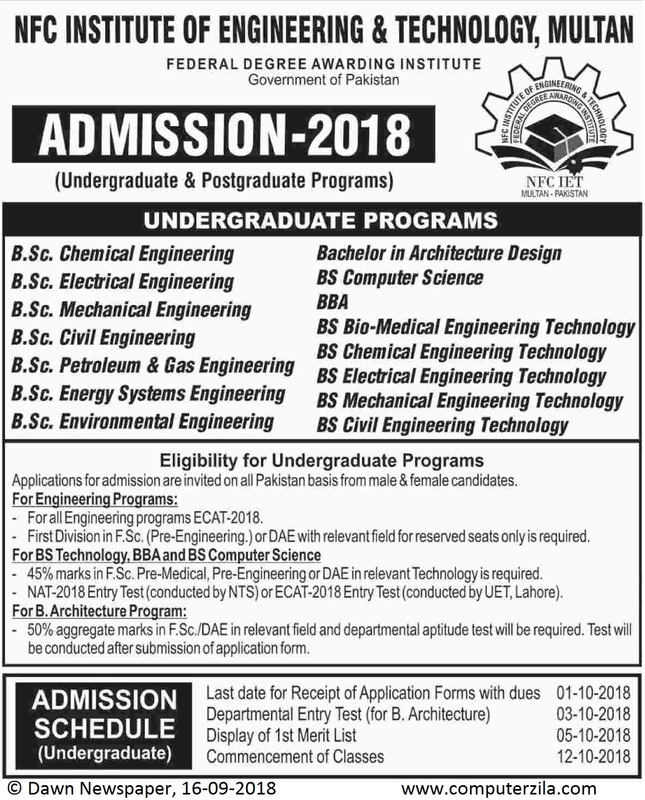 Admissions Open at NFC Institute of Engineering & Technology, Multan's Main Campus for the batch Fall 2018. NFCIET offers admissions in different fields of study for Bachelor Programs. Bachelors EligibilityFirst Division in F.Sc (Pre-Engineering) or DAE with relevant field for reserved seats only is required.